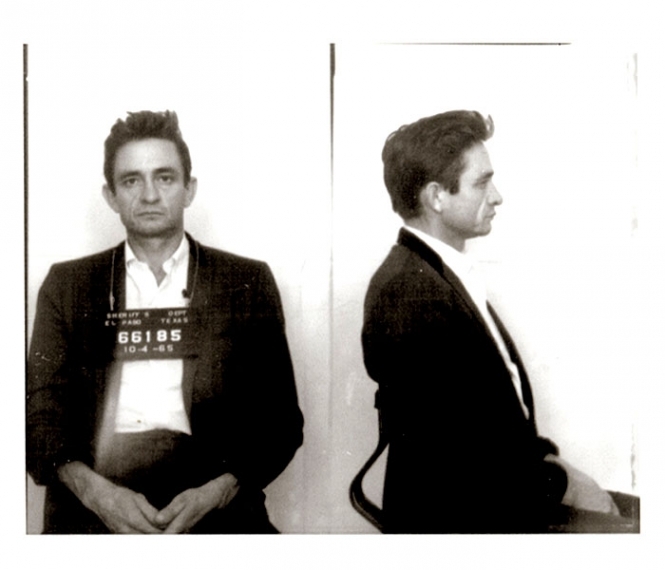 Johnny Cash was arrested in October 1965 when U.S. Customs agents found hundreds of pep pills and tranquilizers in his luggage. The Man in Black--who was returning by plane from a trip to Juarez, Mexico--spent a night in the El Paso jail, and later pleaded guilty to a misdemeanor count. Cash paid a $1000 fine and received a 30-day suspended sentence. Submitted by Watsons Pills on Mon, 2011-04-04 23:02. Submitted by roydawgg on Mon, 2010-11-15 02:56. Submitted by Pastor Cooter Brown on Mon, 2010-11-08 04:57. Submitted by liam42 on Sun, 2010-10-03 14:38.
yea he shot a man in reno ....just to watch him die were good lyrics also listenin 2 him u would think he actually spent more than a week in jail but then again if u were naive enough listenin 2 rappers these days talkin jail n sellin drugs when only 5% prob speak some truth from there gangsta booths. Submitted by jerry_n_sue on Fri, 2010-08-27 23:43.